Reef Fishing Miami Fl is on fire this week. What we are talking about is trolling just off the deep edge of the third reef. 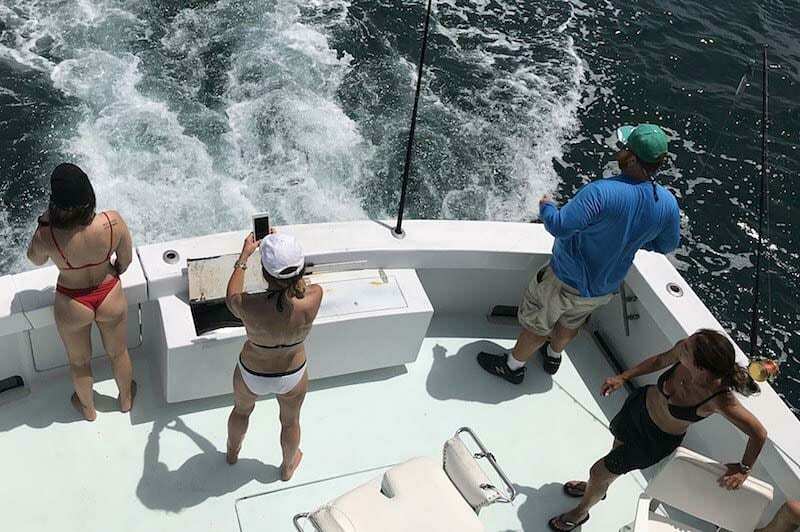 We are seeing a tremendous Reef Fishing Miami Flamount of action on our half day charters. We are pulling the deeper planers with spoons and Bonita Strips. 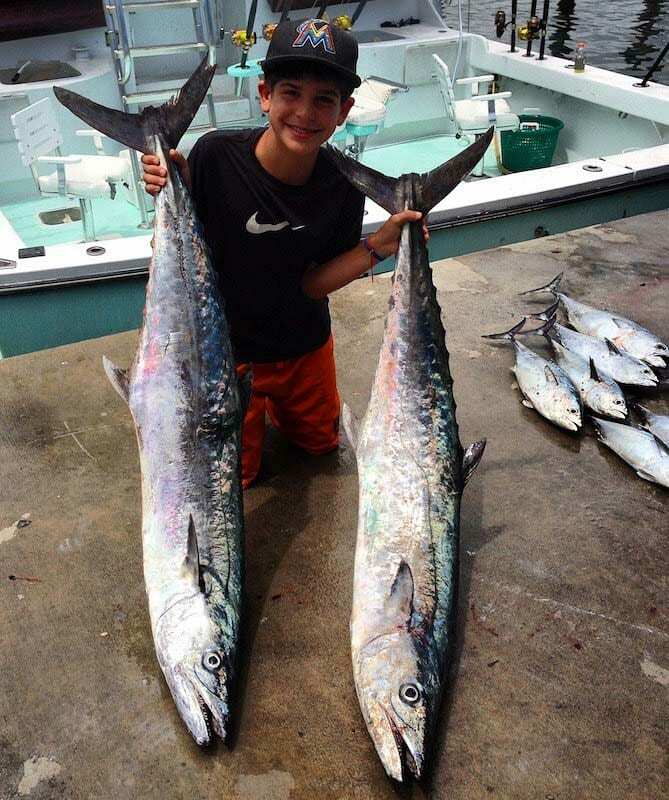 The results have been steady action with some of the largest school kingfish of the season. Plenty of fifteen pound fish with some as large as thirty pounds. The King Fish have been in water depths of about 90′ to about 180′. We are finding them around wrecks and reef edges and deep reef rubble. he Little Tunny Tunas are also pouring through. We have had multiple hookups with as many as six fish on at one time while reef fishing Miami Fl. The “Tunny” Tunas have averaged about ten pounds. Although we have seen some of the largest of the year with a few pushing over 20 pounds. Mixed in with the Tunny are some better sized Black Fin Tuna. This is also when we start to see some large Wahoo show up in the Tunny Schools. 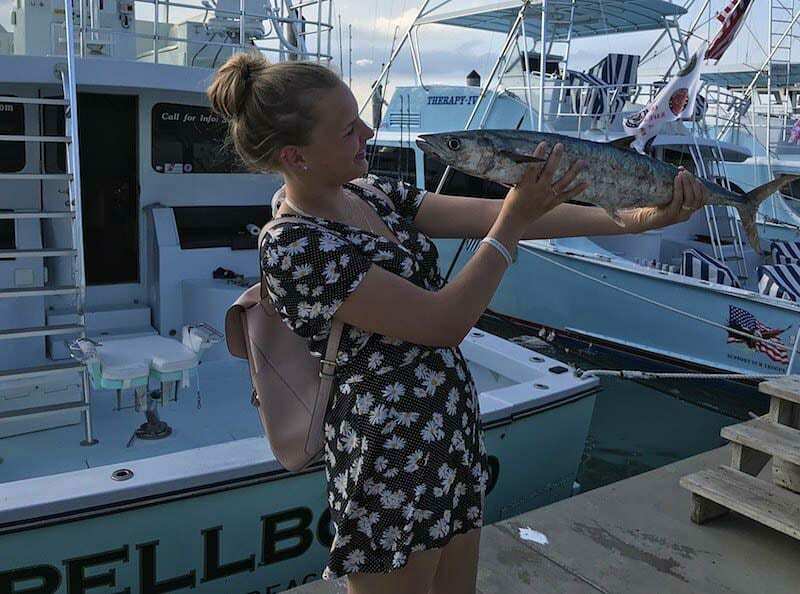 There has also been some real mixed catch trolling while reef fishing Miami Fl. Just this week we have caught a few Golden Amberjacks, Atlantic Bonita, Great Barracuda and Cero Mackerel. We have even caught a few giant Blue “Black” Runners. They were up to seven pounds. Just outside the reef fishing Miami Fl we have seen some good Mahi Mahi “Dolphin Fish” fishing. Most of the fish have been on large floating rafts of Sargassum sea weed. Mixed in with the Mahi have also been lots of Bar Jacks, runners, Rainbow Runners, Wahoo and Triple Tail. 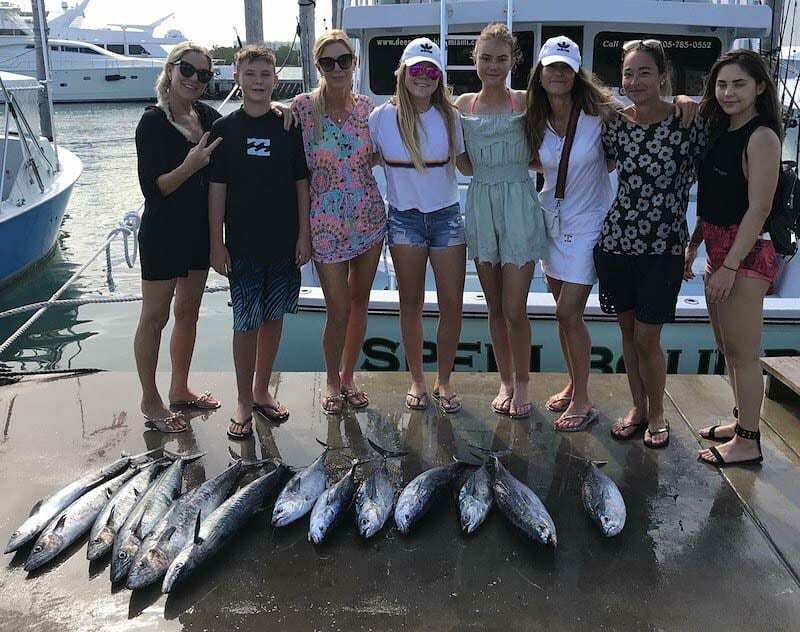 We also offer great reef fishing Miami Fl for kids fishing trips, Shark Fishing charters, Offshore Wahoo Tuna and Mahi trips, Swordfish, Sailfish fishing trips, Bottom fishing for Snapper & Grouper and any other custom fishing charters to fit you and your groups needs. If you are just two people or Ten or more we have the perfect fishing trip for you. We are located in the Haulover Park Marina, just minuets to the deep water and fishing grounds !